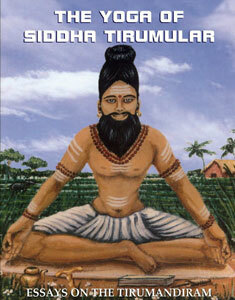 (568pgs) This book fulfills a longtime need for a comprehensive introduction and commentary in the English language for one of Yoga's greatest source works: the Tirumandiram or “Holy Garland of Mantras,'described by Dr. Georg Feuerstein Ph.D “as important as the Yoga-Sutras of Patanjali, the Bhagavad Gita and the Yoga-Vashistha combined.” Tirumandiram is considered to be the greatest and earliest seminal work of the Siddhas, the greatest adepts of Yoga, and an encyclopedia of philosophical and spiritual wisdom rendered in verse form. 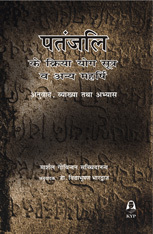 It is a book of Yoga, tantra, alchemy, mysticism, mantra, yantra and philosophy. But without a commentary, it has been difficult for most English readers, unfamiliar with much of its underlying philosophical concepts, to clearly understand. It is the sixth publication in a series produced by scholars ot the Yoga Siddha Research Center, in Chennai, south India, sponsored by Babaji's Kriya Yoga Order of Acharyas and the Yoga Research and Education Center. The present work benefits from the great familiarity which the authors have developed over many years of full time study of much of the massive body of palm leaf manuscripts written by the Siddhas.